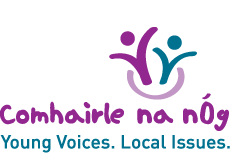 The National Executive has a term of office of two years and meets once a month with the Department of Children and Youth Affairs and the Participation Team in Dublin to progress their topic. 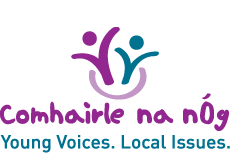 The Comhairle na nÓg National Executive 2016-17 commenced their term on Sat 3rd February 2018. For the next two years, this group will be working on the theme of Equality with a specific focus on equality in a school setting. After a vote by all delegates by private ballot, school received the most votes and has formed the basis of the work-plan for the National Executive 2018-19.